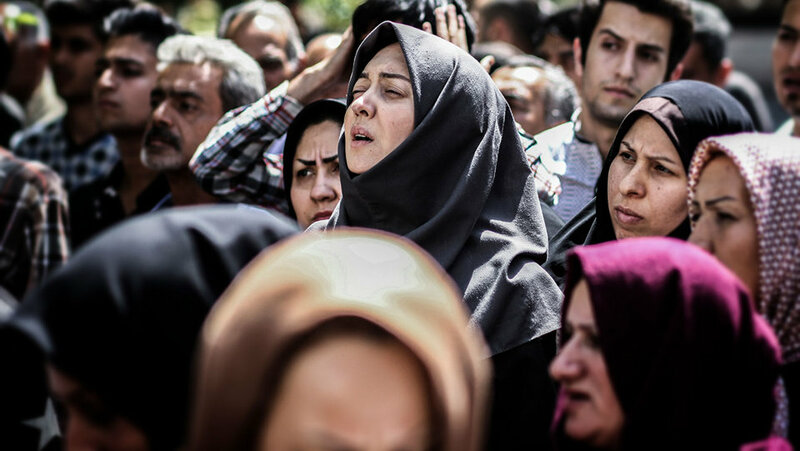 Iranian New Wave is still present and it seems that inspires new filmmakers. Vahid Jalilvand has worked for many years in the Iranian State Television and he is also known as documentarist with more than 30 documentaries that are dealing with social issues. For his first fiction feature film, Wednesday, May 9, the director follows closely wave’s approach towards today’s society. The film participates in Orizzonti competition section at the 72nd Venice Film Festival. Out of the blue, an unknown man, Jelal (played by Jalilvand), publishes an advertising in a Tehran’s newspaper, where it states that he will donate 30 million tomans (about $10,000) to someone in need. The date that this will occur is Wednesday, May 9 at his office. As a result, a sea of people appears that exact date. Among the crowd there’s Leila (Niki Karimi) who needs the money for her husband’s brain surgery. 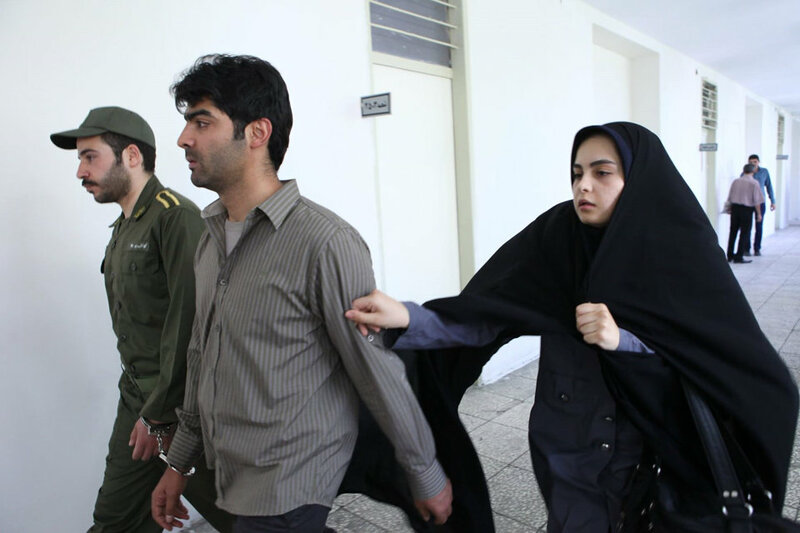 Another candidate, is 19-year-old Setareh (Sahar Ahmadpour) that must pay her husband’s “blood money” because he defended her in front of her relatives. Jelal must choose wisely who should receive the donation. Undoubtedly Jelal is the key character of the film and he was also the one that troubled Jalilvand the most. While the majority of the viewers would rightfully spend their time trying to find the motivation behind Jelal’s action, the director focuses on the fact that people like him should exist in today’s society. Jelal is not a sort of philanthropist as he is not actually rich, so he doesn’t have to prove anything to anyone. Apart from his personal stimulus he decides to become the hero to those that cannot ask for help to the state or anywhere else. He is an honest humanitarian that wants to put solidarity above his social status, he feels member of a community that when someone helps then he will also be helped. Certainly this could also be interpreted from a religious point of view too, as it is somehow stated during the film too. A Christian interpretation could give him the characteristics of Good Samaritan. Wednesday, May 9 starts as a pure and clear homage to Italian neorealism as the title and the initial premise and especially the ad part, are seemingly identical to Roma, ore 11 (1952) directed by Giuseppe De Santis – something that also Mohsen Makhmalbaf used in his Salaam Cinema (1995). Although Jalilvand decides to narrate his story differently. The director, who co-wrote the screenplay along with Ali Zarnegar and Hussain Mahkam, breaks his film in three relatively independent stories. The first one is dedicated to Leila, the second to Setareh and the third to Jelal. Each story will have to blend with the other and there is where the film has a major disadvantage. Despite the fact that the idea of different stories is appealing and that each one of them looks well structured, the narration and the way that these three coexist is quite weak to the point that they lead to a letdown. Of course this is could be unfair for the film but it is so obvious especially when the expectations are so high and the necessary climaxes that could give an equally powerful finale are missing. Iranian cinema seems that still follows and presents a safe and occasionally secure path. Although, sometimes these private women’s stories that can touch the feelings and approach a melodramatic realism with a pinch of “world cinema” essence don’t offer any new revelations. Wednesday, May 9 is a balanced film that could surpass this routine with its powerful performances and with a probable better structured narration.